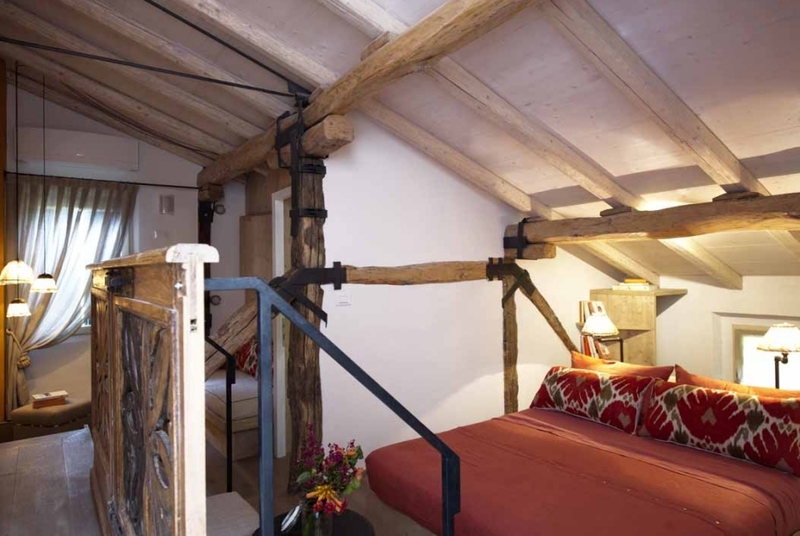 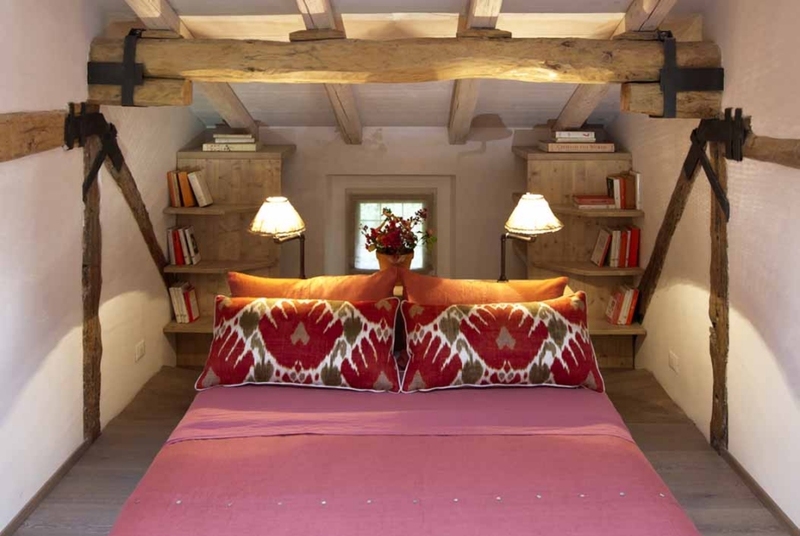 Spacious and romantic, our La Mansarda attic room is decorated in warm orange, coral and red tones. 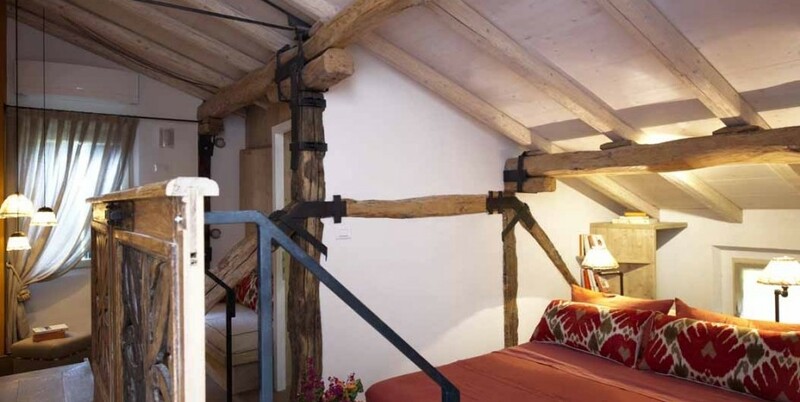 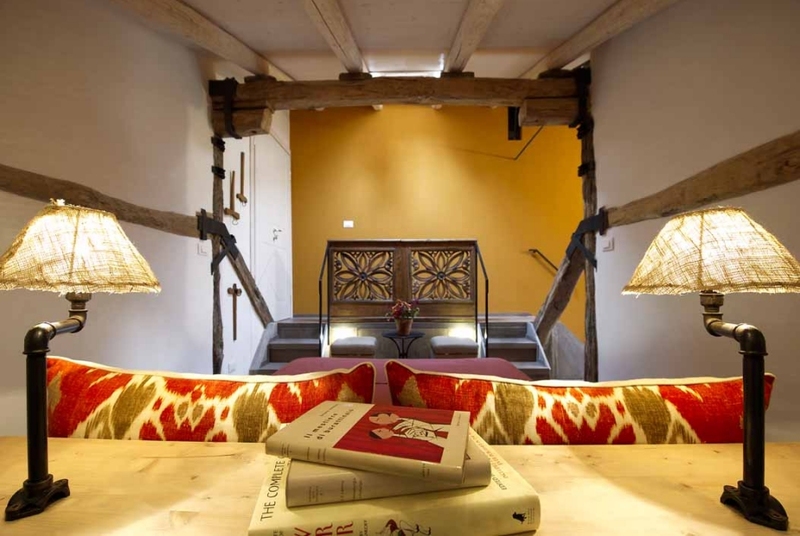 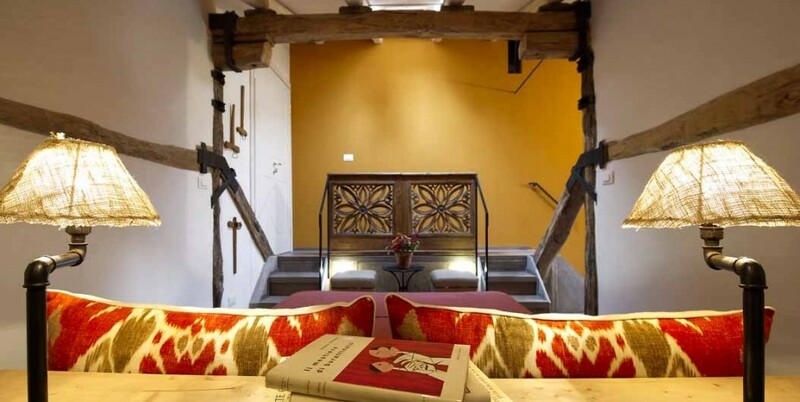 Old, exposed beams add warmth and contrast to the room, with light provided by a roof window and a main window which looks out over the hills. 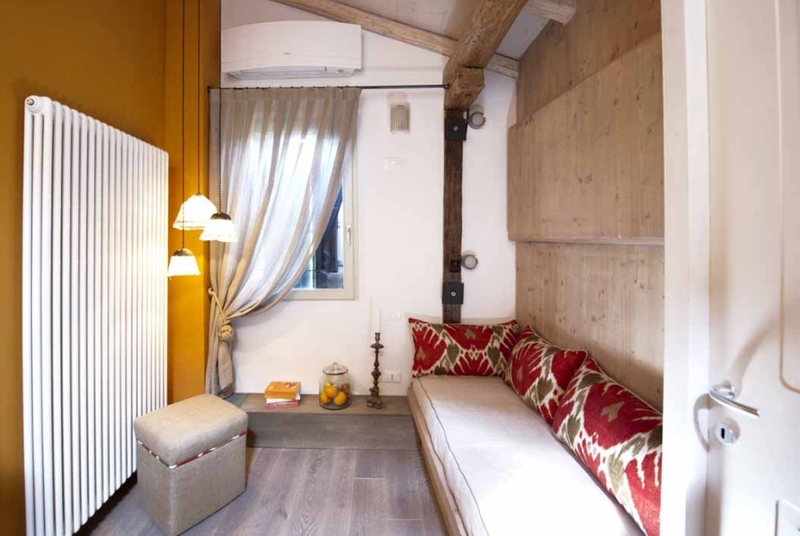 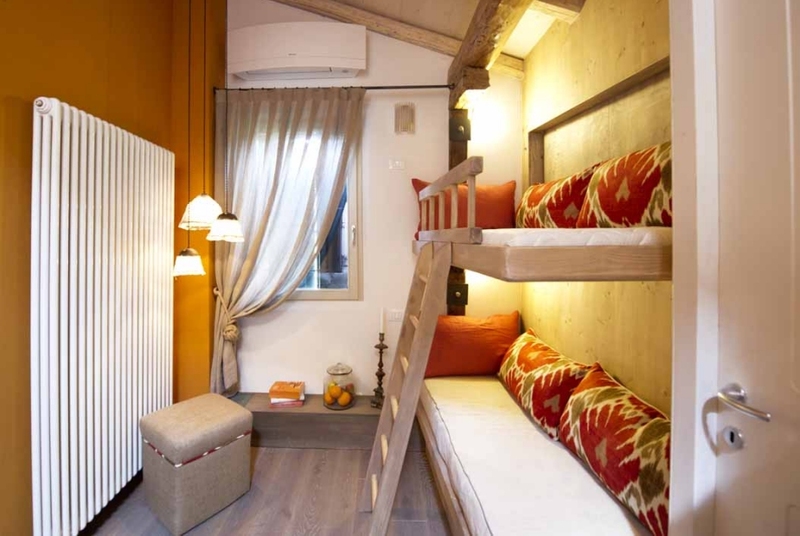 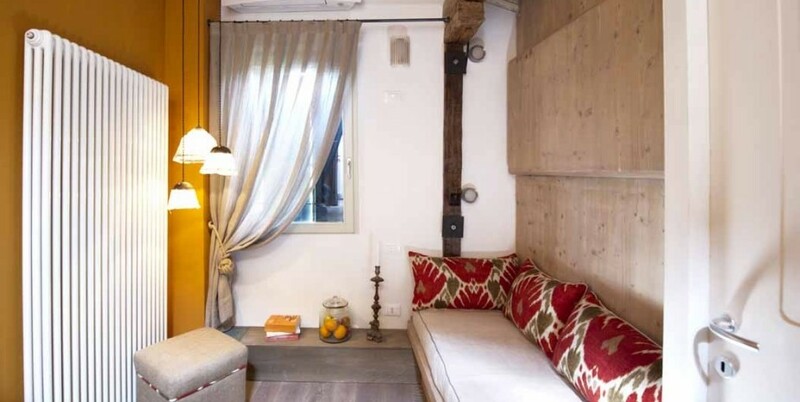 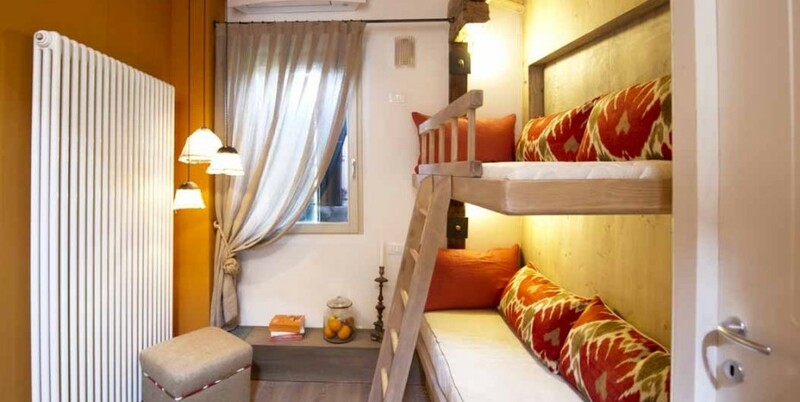 A cosy, welcoming area with sofa and pouf turns into a bunk bed for two children (up to ten years old) when required. 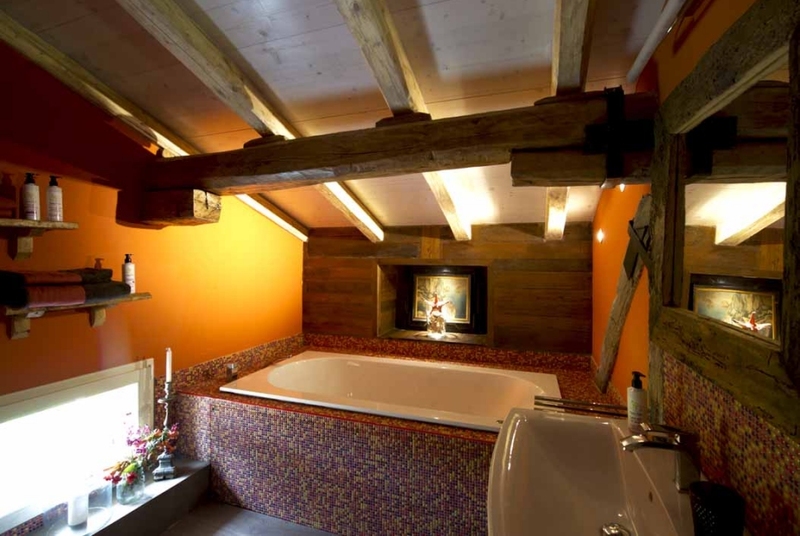 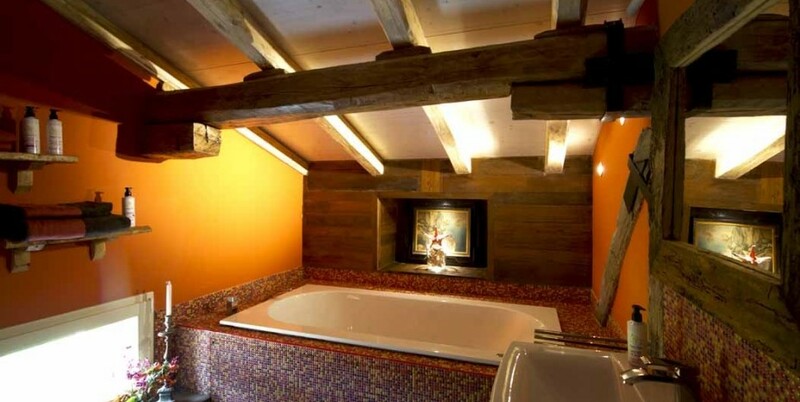 The bathroom is equipped with a Jacuzzi bath and the room is also air conditioned.